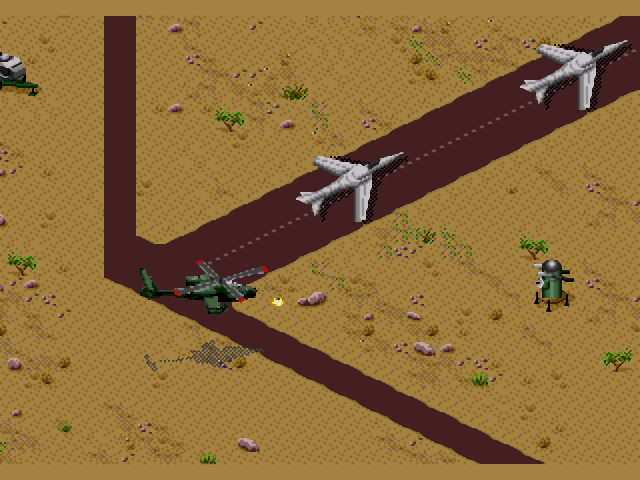 Desert Strike is an isometric Shoot-em-up made by Electronic Arts. 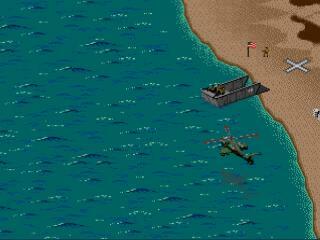 The game involves you being a one man army in an Apache helicopter fighting a maniacal dictator named Kilbaba. The gameplay is unique in that you have finite resources to manage efficiently in order to complete the several objectives in each mission. The are four missions (stages) over all, each with different layouts and objectives giving the game a strong narrative. The graphics look smooth and the colors and sounds are convincing providing an immersive experience as you combat this international threat in the gulf. Now you can add videos, screenshots, or other images (cover scans, disc scans, etc.) 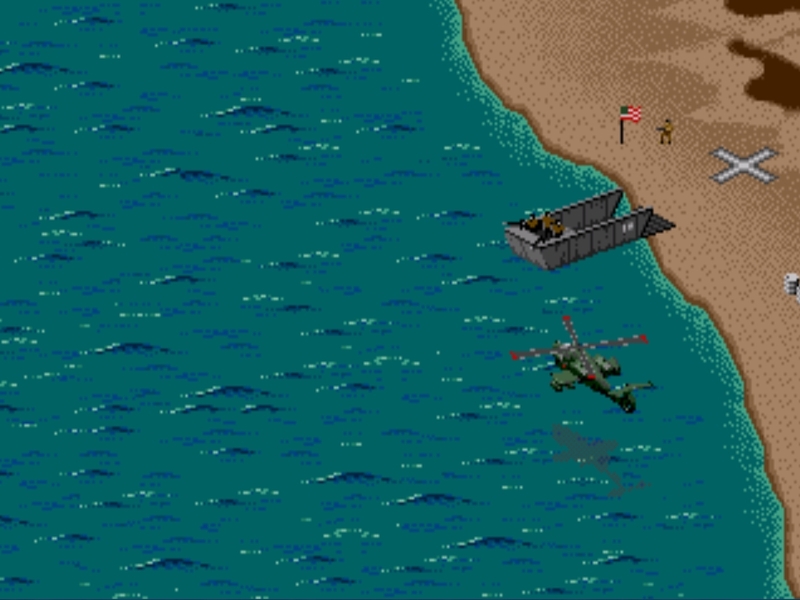 for Desert Strike (USA, Europe) to Emuparadise. Do it now!